Welcome Erica & Sami from [in the oven] Vegan Bakery! 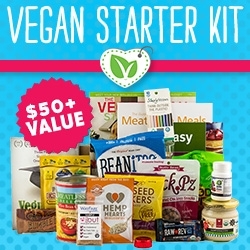 Hello Vegan Projecter’s….Vegan Project Readers…Vegan Projectins…Uhh, you know what we mean. HI! We are Sami & Erica and we’ll be blogging for the Vegan Project every other Thursday! We’ll be discussing new recipes we’ve tried, our baking adventures (we’ll get to this soon! ), the vegan scene in Vancouver, and anything else vegan related. Nigella’s Linguine with Lemon, Thyme and Garlic Mushrooms – Raw Vegan Style!